Fredericka Sheppard Voltedge Management Ltd.
Board members can be contacted at admin@imca.ie. Denis McCarthy, CEO of IMCA is contactable at admin@imca.ie. The IMCA is a company limited by guarantee without share capital. 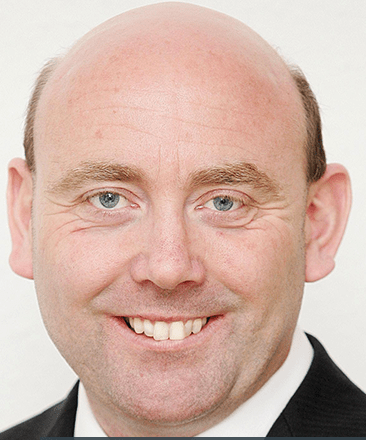 Martin Markey is MD of Competitive Insights an IMCA Registered Consulting Practice. His practice specialises in market research; and stakeholder, consumer, customer and competitor insight projects, providing clients in Ireland and the UK with insights to market challenges and performance improvement. Clients are drawn from a mix of retailers, multinationals, SMEs and third sector providers. Before consultancy he spent a number of years with Electrolux Group Ireland as Business Intelligence Manager. He has an MBS in International Marketing from the Smurfit Graduate School of Business and a Higher Diploma in e Business from the NCIRL. Martin is a Member, CMC of IMCA. 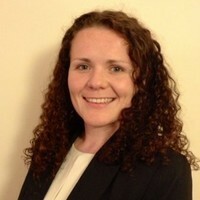 Eimear Duffy is a Consulting Director with PwC, an IMCA Accredited Consulting Practice. She has over 14 years professional experience supporting clients undergoing IT and business change across the public and private sectors. She has a proven track record in successfully delivering complex, large scale technology and business transformation projects for her clients. Eimear is a Member, CMC and current Vice President of the IMCA. Ciarán Brannigan is a Senior Consultant in the Consulting Department of BDO, an Accredited Consulting Partner. He has over 12 years experience working in finance related roles including management consultancy, auditing, management accounting and investment decision. Ciarán is a Fellow of the Chartered Association of Certified Accountants, an Associate Member of the IMCA and current Honorary Treasurer of the Institute. As Finance Director with Engineers Ireland, John is a member of the senior management team with responsibility for finance and operations including IT, provision of employment services to clients, continuous improvement and management of the applications and admissions process. John is a Chartered Fellow of the Chartered Management Institute, a Chartered Marketer and Fellow of the Chartered Institute of Marketing, a member of the Institute of Directors in Ireland and a member of the CMI / Institute of Consulting NI Regional Board. John is a Member, CMC of IMCA and a Fellow of the Institute of Consulting. Kim McClenaghan is a Director in the Consulting Division of PWC, an IMCA Accredited Consulting Practice. 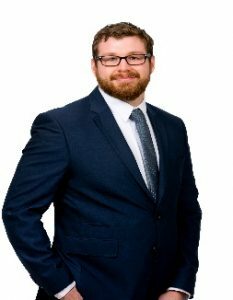 He has over 14 years’ experience managing business transformation initiatives across the Irish public, commercial state and private sectors. He has a proven track record in successfully delivering complex, large scale technology and business transformation projects for his clients. Kim is a Member, CMC of IMCA. Lisa specialises in Forensic Accounting & Litigation Support and manages the forensics team at Cooney Carey Chartered Accountants, an IMCA Accredited Consulting Practice. Her wide sectoral knowledge enables her to offer specific advice when working with clients, solicitors and barristers in matters including commercial litigation, dispute resolution, marital separation / divorce, financial investigations and fraud. She also manages the audits of a number of wealth management products for one of the top global banks with responsibility for planning, implementing and reviewing the audit and advisory services provided. Lisa is a a Member, CMC of IMCA, a member the Institute of Chartered Accountants in Ireland and an accredited mediator and member of MFI (Mediation Forum Ireland). She also holds a Diploma in Forensic Accounting and a Diploma in Managing People. Alan, operating as Ruby Consulting, advises clients primarily on enterprise development, market assessments and commercial investment strategy. From a pharma background, he has numerous clients connected with university sponsored start-up ventures and has 15 years’ consulting experience on growth planning and strategy with Enterprise Ireland, Bord Bia and InterTradeIreland, universities and SMEs. Alan is a member of the Institute of Directors, and holds a BSc in Pharmaceutical and Chemical Sciences from Brighton University and an MBA from DCU. He previously worked for Novartis, Teva and PA Consulting. Frank’s career spans three decades working in media and technology with a passion for commercialising technology and content. 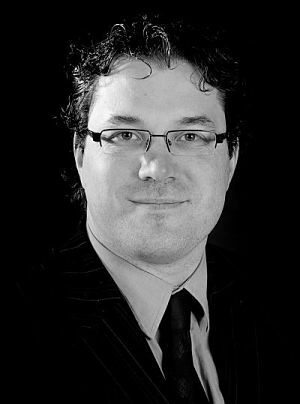 He founded an international consultancy practice Pathfinder, an IMCA Registered Consulting Practice, in 2003 which works in emerging economies through EBRD, coaches SMEs in Europe through the EC, and works with SME, spin-out and start-up companies on multiple programmes with Enterprise Ireland. Frank has raised over €40m in equity for projects in Ireland and the Balkans. He has almost 20 years’ experience as a Director and present board positions include RTÉ, IMCA and Razor Communications. His work has been recognised with IIA Net Visionary Award shortlists in 2007 and 2012. He is a Trinity College Business Graduate in Economics & Social Studies. Frank is a Member, CMC of IMCA and a Member of the Marketing Institute of Ireland. Marrita Kavanagh is a Director of Pinnacle Project Partners, an Irish-owned, consulting firm specialising in programme and project management and an Accredited Consulting Practice of IMCA. She has worked with clients in the financial services sector for over 23 years and has a strong reputation for successful delivery of complex IT, Business and Transformation initiatives for her clients in Ireland, Europe and the US. Marrita is a Member, CMC of IMCA and is certified by the Project Management Institute (PMI). Tony O’Brien graduated from UCD in Mechanical Engineering and worked in the USA and overseas before joining the IDA in Ireland. He became a consultant with the Irish Productivity Centre, completed an MBA in UCD and joined KPMG (then Stokes Kennedy Crowley) where he was Head of its Business Performance Improvement Group. Tony was a Director with Mazars Consulting and most recently was Head of Business Consulting with Grant Thornton. He is a Board member of the Housing and Sustainable Communities Agency, a member of the Audit Committees of Limerick City and County Council, and the Pyrite Resolution Board. He is Chairman of the Chambers Ireland Local Government Policy Committee, is a member of the Board of the UCD Engineering Graduates Association and is a qualified mediator. Tony is a Fellow, CMC of IMCA and was President in 2011. Fredericka Sheppard is Director and Joint Managing Partner with Voltedge Management Ltd. A graduate of UL and NCI in Human Resources Management, Fredericka has worked in Human Resource Management since the mid 1990’s during which time she held senior HR Management roles with a range of organisations. Working as a consultant for over 10 years, she has extensive knowledge and experience developing HR strategies, providing outsourced HR services and partnering with HR departments to provide support or advice in specific areas of Human Resources Management. She was appointed to the National Framework Committee on Work Life Balance – Panel of Experts in 2002 and 2007, and is a member of the HR and OD Consultants Panel with Enterprise Ireland. Fredericka is a Member, CMC of IMCA and a Chartered Member of CIPD.